2. Mission (Objective) Statement To provide care and services to poor destitute elderly all over India. 12. Illegibility Criteria to Receive Grant / Support Registered as Society or Trust, Subscribe to Credibility Alliance Standards, Rating by Help age Staff. Help Age India is working for the cause and care of Older Persons, with the ultimate aim of empowering them to take decisions pertaining to their own lives. Over the years Help Age India has changed its orientation from implementing welfare projects to those that focus on development. It now lays stress on income-generation and micro-credit projects that enable the participation .of Older Persons in the mainstream of society. 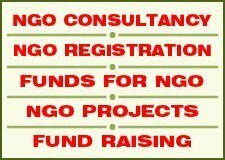 A registered national level voluntary organization. 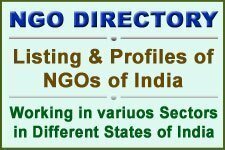 A secular, apolitical, non-profit and a non-governmental organization. Registered under the Societies Registration Act, 1860, in 1978. Formed in 1978 with active help from Mr. Cecil Jackson Cole, founder member of Help the Aged in United Kingdom. To foster the welfare of the aged in India especially the needy aged. To raise funds for projects which assist the elderly irrespective of cast or creed. To create in the younger generation and in society a social awareness about the problems of the elderly in India today. Help Age India maintains active liaison with both the Central and State Governments for advocating the cause of the elderly. Help Age India is a member of the National Council of Older Persons in the Ministry of Social Justice and Empowerment. It is represented at the Working Committee of National Council. The organisation has also been represented on the Working Group for recommending Government thrusts and policies for the Eight and Ninth Five year Plans. It has successfully pressed for travel and tax concessions and other benefits for the elderly. Help Age India is one of the founding members of Help Age International, a high profile body having 51 member countries representing the cause of the elderly at the United Nations. It has received a special testimonial from the United Nations for “Dedicated service in support of the United Nations Programme on Ageing”. Help Age India is also a full member of the International Federation on Ageing. A silent revolution has occurred in the last 100 years – unseen, unheard, and yet so close. The biggest achievement of the century is longevity. All over the world life expectancy has risen, leading to a sharp rise in the number of Older Persons. In India life expectancy has gone up from 20 years in the beginning of the 20th century to 62 years today: Better medical care and low fertility have made the elderly the fastest growing section of society. 90% of older persons are from the unorganized sector, with no social security at the age of 60. 30% of older persons live below the poverty line, and another 33% just marginally over it. D 80% live in rural areas. 73% are illiterate, and can only be engaged in physical labor. D 55% of women over 60 are widows, many of them with no support whatsoever. There are nearly 200,000 centenarians in India. Here are some key aspects of ageing. An irreversible biological phenomenon D Survival of a growing number of people completing their traditional adult roles. Who are the Aged ? In the 25 years of its existence, Help Age has made a difference in the lives of millions of older persons. Help Age India’s programs focus on improved access to health and eye care facilities, community-based services, livelihood support, and training. In addition, the organization also supports welfare programmes like old age homes and day care centres and the adopt-A-Grandparent scheme. Ophthalmic Care: Help Age India conducts screening camps all over the country to detect eye diseases and subsequently organizes surgery where required with help from reputed eye hospitals. In the year 2003 – 04, Help Age India supported over 40,000 free cataract operations. Mobile Medicare Units (MMU’s) : 55 of Help Age India’s MMUs criss-cross the country in an effort to provide healthcare at the doorsteps of needy older persons in rural areas and urban slums where health care facilities are not easily accessible. Each van visits two spots in a day and 10 spots every week. Income Generation Schemes : Aiming to make older people self-reliant Help Age India has implemented income generation schemes, and helped restore dignity in the lives of many older persons. Day Care Centers : 98 day care centres across the country have been supported by Help Age India. These are centres where older people can congregate and spend time with others of their age and background. Some centres also run income – generation schemes. 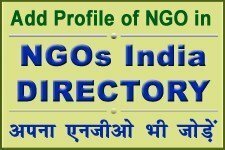 Adopt-A-Oran: Under this unique project, Help Age India links sponsors to destitute older people who have no form of support. 16,875 persons have been adopted under the AAG programme. Homes for the Aged : For those who have fallen through the family net, Help Age India supported old age homes are a blessing in disguise. Help Age supports 194 old age homes. Disaster Mitigation : The super cyclone in Orissa, the earthquake in Bhuj and the war in Kargil – whatever the situation Help Age was quick to act to provide relief to those affected by the disasters. Advocacy: Acting as the voice of the aged, Help Age India constantly lobbies with governments and pressure groups to bring about policies benfitting older persons. Cancer: One of Help Age’s focus areas, the organization provides support for early detection, provides infrastructure to hospitals, and promotes palliative care for patients. Aizheimer’s Disease : Help Age has started a campaign for caregivers in the form of educational programmes, support groups for care givers and counseling for family members of Aizheimer’s patients. 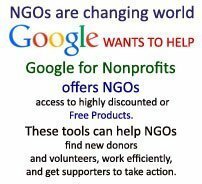 Note : The NGO/VO applying for support should have specific experience in working with Elders and have “Age Care” as a part of their agenda.